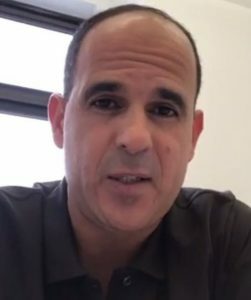 A few days ago the Camping World CEO – Marcus Lemonis made some inadvisable remarks to a television interviewer in the heat of emotion amid the media firestorm following the despicable riot at Charlottesville, VA two weeks ago. The short-term effect on his business has been catastrophic, as he painfully learned the same lesson that the management at Target and Starbucks have learned over the last years – business and politics are a dangerous combination. When I read of Mr. Lemonis’ off-hand remark, I put a customer feedback post up on the Camping World website voicing (calmly) my displeasure, not only against the remarks he made themselves, but more importantly against the very fact that business people seem to be increasingly using their positions to voice their own personal political views, often to the detriment of their stock holders and their customers alike. Almost immediately, I received the following heartfelt apology, which Mr. Lemonis wrote in response to the controversy. I believe it is worthy of sharing in a BriRant. The news media is unlikely to share it, because true humility in an apology that retreats from a political position that the news media favors isn’t considered “newsworthy” by those who desire to fan the flames of political – particularly racial – controversy in our country today. That goes for not only the liberally biased “mainstream” media, but also for conservative pundits and bloggers like me. This is obviously not a well-polished, carefully-worded and spun attempt at damage control. It seems that Mr. Lemonis has truly taken this hard lesson very quickly to heart. May God bless and reward his humility. When I came to this country as an infant I had no idea what would be in store for me. A place where most get a chance to succeed. With a loving family and a ton of luck I was given my shot. Now the road wasn’t as easy as some think. I wasn’t born with a silver spoon in my mouth but I was more fortunate than others in the sense of having two great parents, a roof, always food and clothing and provided a good education. During those years I had my own internal struggle like most do. Struggles that are kept secret in some cases and others than are out for all to see. As a kid, I was bullied. Now that doesn’t make me special or require any special privilege but it does stick with you. As I grew up I knew I needed to be someone and do something. It was the only way I could prove to myself and others that I was worth more than they thought of me but quite frankly needed for my own mental health. I am much more insecure than people know. I get depressed, sad, scared etc. but who cares we all do. Over the last 15 years I have been blessed to be part of building a business with people that believed in me. Something new for me. I was given a chance to build something that I could leave as a lasting legacy. Even though I started experiencing success, I never quite felt fulfilled. It’s not about the money. I felt like I needed to do more, to contribute more. Thru those years I made mistakes. A lot of them. Struggled with personal relationships, mistreated friends, etc. I suppose that’s human but I couldn’t understand why. The last five years I spent my time working on my business but also dedicated my life to small business. It was a way for me to help the underdog. I never did it for the money or the attention but rather to fill a void. I felt like I had to do it to payback a place that gave me a break. I made plenty of mistakes during this process as well. Trusted people who I shouldn’t have, made deals I shouldn’t have and sometimes did it for the wrong reason. But who cares, we all make mistakes. Over the last year I have, or at least I thought had, really grown. It’s funny but in my mind, I had grown up. I felt like I needed to consider how serious things got around here. Everything became intense and confrontational. Skin started to thicken, tensions started to rise and heels dug in. I suppose it’s more of a protective measure for me and probably others as well. Now in this moment no one person was to blame for this. I started having sensory overload. I’m sure over the last year I felt the need to be more careful, be less trusting and I maybe didn’t even know it was happening. You watch tv and everyone is arguing. Yes, everyone. You drive in your car and everyone is aggressive. And mistakes are made. As a child being bullied didn’t make me different or special it made me more sensitive, more forgiving, more focused and helping. As I continued over the last several months to read, listen and observe I noticed that my conviction was weakening. I felt like I needed to just accept the way things are and move on. Which felt like a mistake. If you have noticed I have said mistake a bunch of times and I’m sure there are typos and grammar mistakes all over this free form written document. Sometimes those mistakes come out of my mouth. The mistake I made in the last week was not being clear. Do I think that hate and violence has taken over everywhere, yes? While I stand strong on my position that violence, hate, bigotry is unacceptable from anyone regardless of what side you are on and that all of us need to be accountable, only I am accountable for my actions. Last week I gave my opinion on what had happened. I made the mistake of letting my fear and emotion talk about subjects that I shouldn’t have. As the CEO of a business, I am responsible to take care of the people that work there. I opened my mouth and put them in harm’s way. While I know, that the headline published was taken out of context and I have to live with that. there should have never been a headline and I gave a chance to live. My apology is sincere. It is to my employees who have been forced to deal with this. I am nothing without you. I am here to serve, guide and protect you. I will work harder. Please forgive me. Please don’t punish them. I apologize to anyone who has supported their cause, their political preference, their candidate, their beliefs. I was Not raised this way and have always been taught to respect everyone. This is a free county and my fears shouldn’t be projected on anyone. I am asking for your forgiveness. I should have not disrespected that and will not again. I apologize to the people who have followed my show for years and have said they have learned so much and are inspired, who now say that have been let down and will never trust me again. I DO NOT apologize to anyone who is in favor or hate, violence, bigotry or racism. And I will do my part to help eliminate it from both sides. One way I do that is by being an example. You are the reason I made this mistake. You took my common sense away and purpose. I will not let you beat me or beat me down. I am a man of conviction. Most of the time it’s what people like about me. In this case it’s quite the opposite. I have not written this because I worry about what it means to me financially, because that’s normally the response I hear when I say I’m sorry. I have written this because I know what has been my purpose up to now, which is to help people and I want to be able to continue that. People make mistakes. Obviously, this past week I’m the poster child.